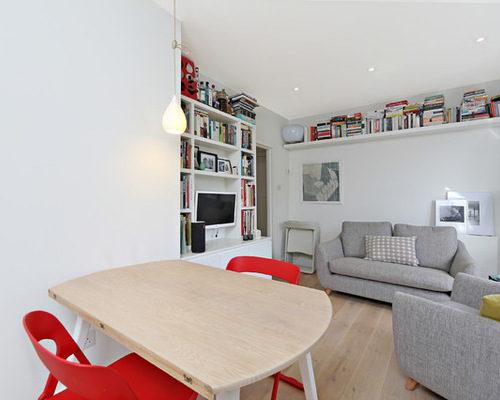 Small rooms- they can be a PAIN to work with! We don’t want our guests to feel claustrophobic… but not everyone can have a home like Oprah Winfrey (take a look here). But, even without the square footage, there are some tricks to make your small room look bigger! Maybe the best kept secret is the power of painting a room (for more tips and tricks of choosing paint colors for rooms, click here). There are two types of colors: receding and advancing. Advancing colors, such as red and other warm/bright colors, make the room seem smaller than it actually is (and it kind of makes you feel like you’re getting swallowed up in it!) Instead, choose receding colors, such as white, blue, or mint, to make your room seem bigger and calmer. Furniture- get rid of that bulky couch! Take a look at your furniture size. 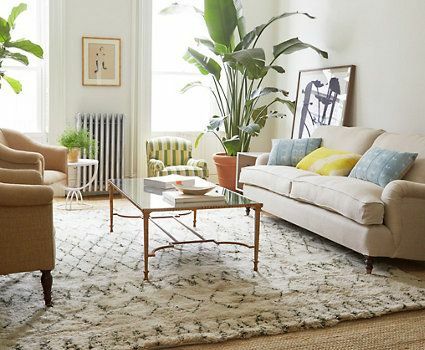 If you have a lot of big couches or oversized chairs, this could be making your room look cramped and small. Even if the furniture is normal size, consider its visual weight. Does it look heavy and big in mass? 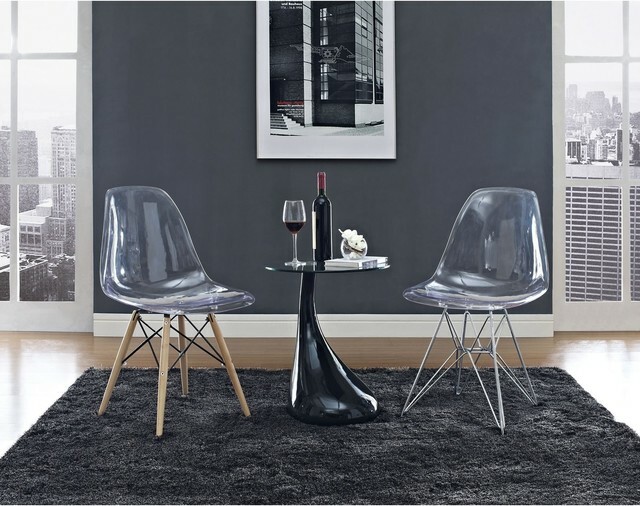 Try getting a couch with legs instead of a skirt, or really mix it up with these stylish see through chairs. Having furniture items that are smaller in visual mass will really help make your small space visually seem more spacious. Add more “space” to your room by making use of the ceilings and higher up on the wall. 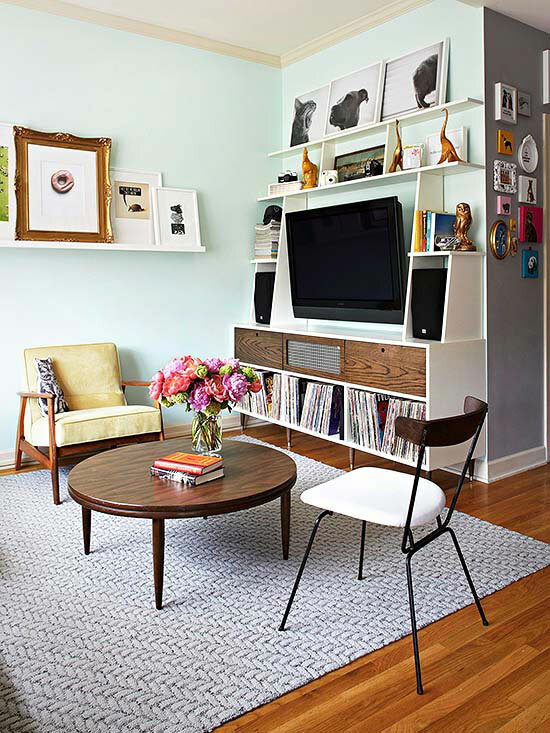 Put artwork or shelves higher on the wall to draw eyes upward. Sometimes we forget to make use of that extra space, but in a small room, why not use it to your advantage?? Another tip to getting eyes to go up is using vertical lines. Why not try to mix it up with some vertical window coverings? It’s kind of like the trick grocery stores do to make it look like the row of yogurt goes on forever! 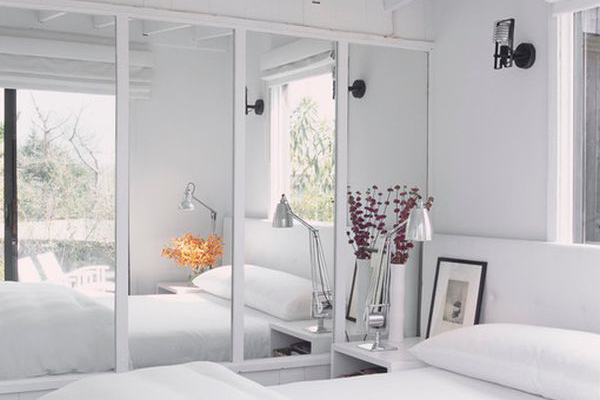 A well-placed mirror can add extra space to a room (even if it’s fake space!). Be sure to be wary about what your mirror is reflecting though! The best place is usually to put it across from a window! Lots of pattern can look more cluttered. Instead, keep it simple with your furniture and décor. This goes along with lots of small decoration pieces. Try having fewer items that are larger in size rather than having lots of small things everywhere.